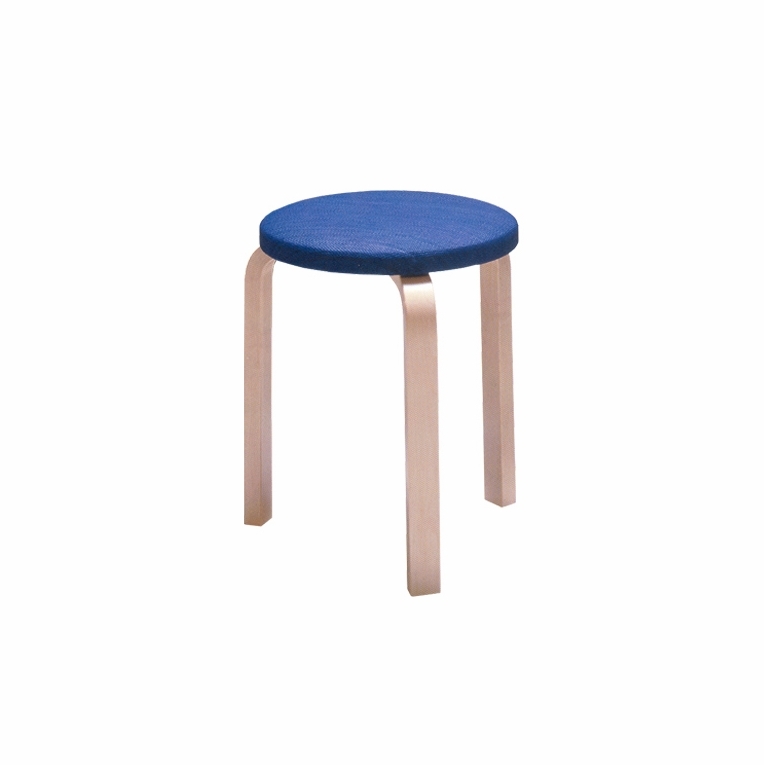 This stackable stool was designed by Alvar Aalto during the years of 1932-33. Aalto developed the bent L-shaped leg to achieve his ultimate design aesthetic which mixed art and nature with technology. This unique bending technology became the basis of Stool 60 and was later patented. Both the seat and legs are comprised of solid birch veneer with your choice of upholstery for the seat's surface. On permanent collection at The Museum of Modern Art in New York, the simplicity and innovative technology captured by this three-legged stool is timeless. Made in Finland by Artek. Ships unassembled.Please review our Shipping Information page before ordering. Payment: 50% will be charged at time of order, remainder will be charged at time of shipment.